Is global warming like level control? Home / Articles / 2018 / Is global warming like level control? Comparing the processes sheds light on the problem of regulating Earth's temperature. Q: In a previous column, you wrote that understanding the control of global warming is very similar to understanding level control. Could you explain this in more detail? In what respect are the two processes similar? A: You hit upon a large subject, one that will take up a full chapter in my upcoming book to be published by ISA. I will try to give you a brief answer. Figure 1: The average surface temperature of the world's oceans, using the baseline of 1971 to 2000 average. The shaded band shows the range of uncertainty in the data based on the number of measurements collected and the precision of the measurements used. Source: EPA. at 2.0°C (recommended by the Paris Agreement of 2015) and particularly not at 1.5 °C (recommended by the U.N. Intergovernmental Panel on Climate Change – IPCC in 2018) because this high-inertia process is totally out of control. Some believe that because the numbers describing the temperature rise are small, the problem we face is also small. This is not the case. Let me compare them with our own body temperature, which is accurately controlled by our brain. The body temperature of a healthy, resting adult human being is 98.6 °F (37.0 °C). Our "thermostat" (called the hypothalamus, a portion of the brain) controls body temperature. The span of our thermostat is 36.4–37.1 °C (97.5–98.8 °F) or about 0.7 °C. This thermostat turns on shivering at 97.5 °F and initiates sweating at 98.8 °F. I mention this only to illustrate that certain processes must be controlled within small limits because small temperature changes can have large effects. According to all scientific data, the thermostat of global temperature control is CO2 concentration in the atmosphere. If it rises, the global temperature rises (because the thermal insulation of the planet increases), and when it drops, the planet cools. During the past 1 million years, nature "controlled" this concentration by keeping the inflow of CO2 into the atmosphere (generated by animal life and man) roughly equal the outflow (intake of plants and dissipation by the oceans), and therefore the atmospheric concentration of CO2 stayed roughly constant, never exceeding 280 ppm even during ice ages, changing sun spot numbers, volcanic activity or meteor impacts. If we look at the atmosphere as a tank and CO2 concentration as the level in that tank, then we could say that this level stayed reasonably constant for a million years because it never exceeded 280 ppm (the planet didn't need to start "sweating") as nature took care of it. Since the beginning of the industrial revolution, humans gradually took over this control from nature, CO2 concentration in the atmosphere increased from 280 to more than 410 ppm, and it's predicted by most models that it will reach or even exceed 500 ppm by the end of this century. If a control engineer was to bring this process under control by returning CO2 concentration to the stable, pre-industrial state, the task would be to balance the in and outflows of this tank, and on top of that, remove roughly half of the CO2 that accumulated during the industrial age. If a conventional level controller was installed on this tank, it would see an error of 410 – 280 = 130 ppm and a past error accumulation of some 400-500 Gt (gigatons) of carbon. It would immediately close the inlet valve and open the outlet valve. Unfortunately, in this process, these valves are stuck. The outflow from the tank (the CO2 intake of the plants and dissipation by the oceans) can’t be increased. In fact, it has probably decreased during the past century because of deforestation, acidification of the oceans, and building of dams/reservoirs, holding 8,000 km3 of water, which also emit carbon to the atmosphere. In short, this outlet valve is almost completely stuck, and we have no technology to open it further except reforestation, which is unlikely due to overpopulation (during the industrial age, population increased from 1.0 to 9.0 billion). Figure 2: This figure shows the fast carbon cycle (left - on land, right - in the oceans) in billions of tons of carbon per year. Yellow numbers are natural fluxes; red are human contributions. White numbers refer to stored carbon. Source: NASA. As shown in Figure 2, every year we send 9 Gt of carbon into the atmosphere. 3 Gt of that is taken up by the photosynthesis of plants, 2 Gt is dissipated by the oceans, and 4 Gt remains in the atmosphere for the next 20 to 200 years. So, the inflow exceeds the outflow by 4 Gt/yr. We do have some means to reduce this inflow, such as using more bicycles, public transport, converting to electric cars, insulating our homes, using smart thermostats and appliances, eliminating animal products from our diet (which cuts greenhouse emissions by more than 10%), introducing carbon taxes (not cap-and-trade, but taxes), and eventually, fully converting the energy economy from fossil/nuclear fuels to carbon-free ones. The speed of conversion is a function of both the marketplace and government support. Where both are present, the conversion is faster (in California today, green electricity is 30% of the total), while where only the marketplace is driving the conversion, it is much slower (15% in the U.S. overall). It will probably take a generation or two to overcome the resistance of the fossil industry. Leaving some $35 trillion worth of fossil fuel in the ground justifies some resistance, and it will take time for society as a whole to realize that we must convert to solar energy and use hydrogen as the means of storing, transporting and distributing this energy to areas where insolation is insufficient. (For more solar storage technology, see my book, Post Oil Energy Economy, or tune in to the video). What even the best of our leaders seem to not understand is that, even after we've balanced the in and outflows, we will not have returned the planet to pre-industrial conditions because even after this tremendous technological and political transformation effort, we didn’t even start to remove the already accumulated 400-500 Gt of carbon from the atmosphere, which can stay there for 20-200 years. And, as long as that accumulation remains, the CO2 concentration does not drop and the planet will keep warming. 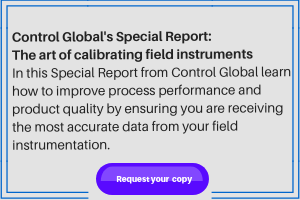 This is obvious to a process control engineer, but not to our well-intentioned leaders who wrote the Paris Agreement in 2015 or the smarter U.N. experts who participated in the IPCC meeting in 2018. It is for this reason that we who understand process control have the responsibility to explain that the present uncontrolled rate of carbon accumulation will reach approximately 500 ppm by the end of this century, at which point the tropical regions of the planet are likely to become unlivable, and the resulting biblical-scale migration could destroy human civilization. Would you trade in your fossil-fuel-powered car for an electric? Effects we're seeing from melting ice, rising oceans and the "heat engine."